Most of the searches leading to my blog these days has something to do with the keywords "no other woman resort". 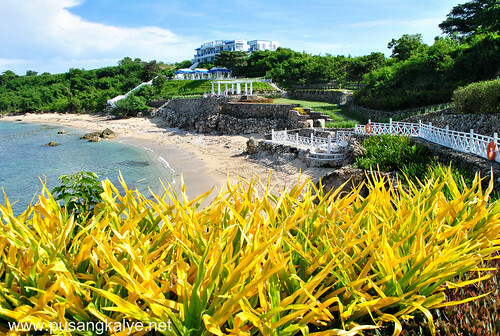 The popularity of the latest Star Cinema box-office hit movie made people curious about the beautiful resort where some of the scenes were taken. 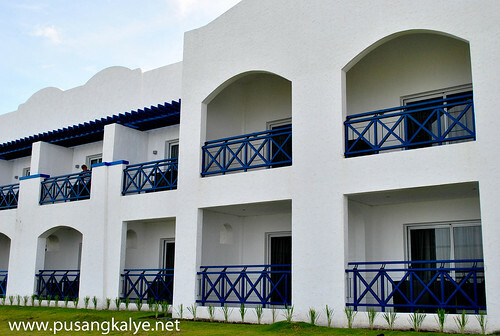 The Santorini inspired THUNDERBIRD RESORT Poro Point has therefore become the No Other Woman Resort people have been googling for. 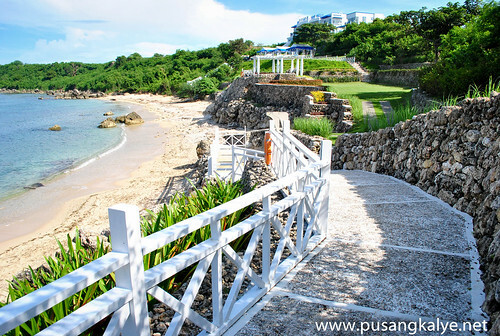 Poro Point used to be a military base. 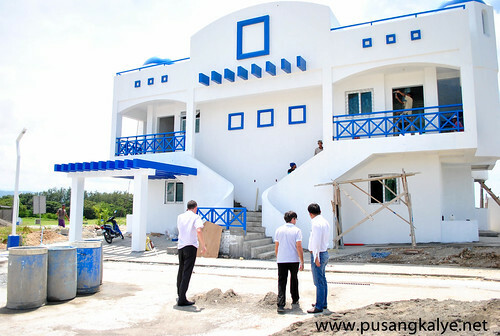 Just like Clark and Subic, it is under the Bases Conversion Development Authority (BCDA). 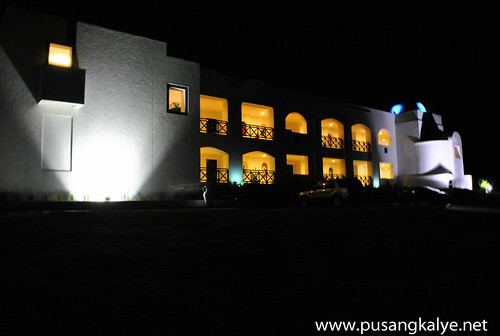 Thunderbird Resort and Hotels has rented most of the property for the span of 50 years. 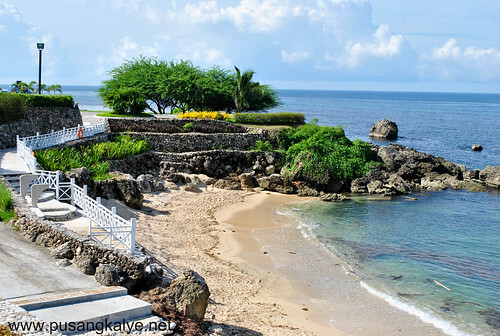 If you have your own car, it's a comfortable 5-hour drive from Manila. If you plan to take the bus, you can ride till downtown San Fernando City and take the tricycle for 100 pesos. 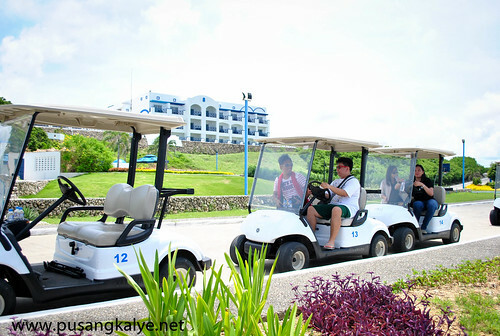 I was surprised that they actually allow tricycles inside. 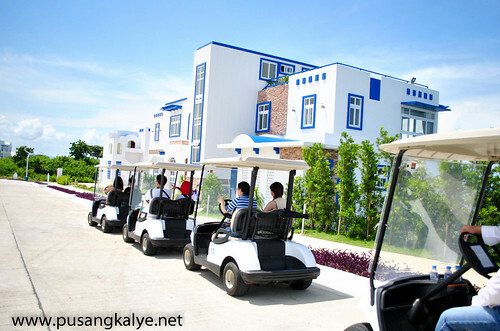 Although if you think it is a little awkward to take the tricycle to the main building, you can drop by the gate and walk for a kilometer. I think there is no taxi in the area. I am not sure.Whatever it is, just get there. The experience is extraordinary. 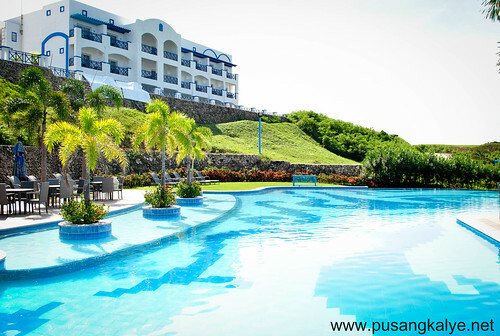 When I said Thunderbird Poro Point is a Santorini inspired Resort, I mean it in every way. 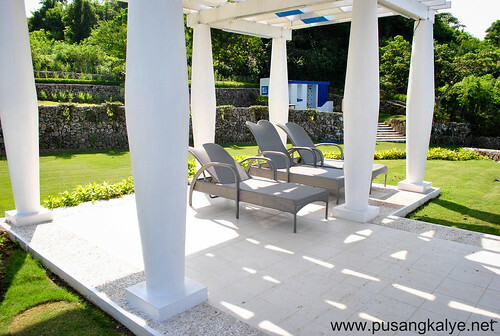 All that is about the resort could make you think you are somewhere in the Meditteranean. 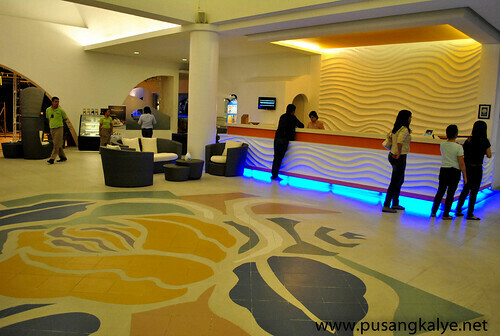 It's not just about the dome and the architecture of the main lobby and the hotel itself,the corridors, the paintings on the wall, the furnitures, the curtains in the room, the tiles on the pool, the pots are all Santorini themed. 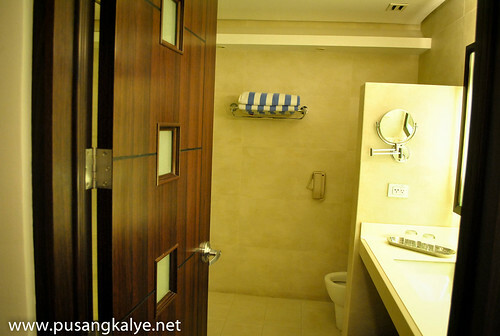 Even the towels in your room or the pool are in white and blue stripes. 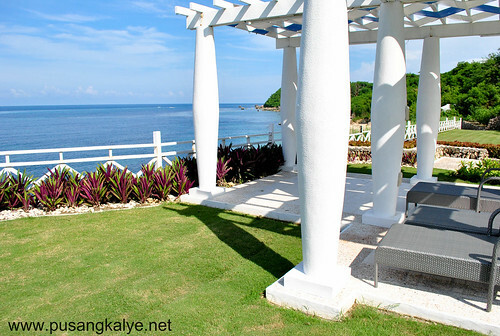 The sixty-five hectare resort boasts of stylish, ambient luxury suites perched on a hundred foot cliff. On the waterfront, the Beach Club offers the dream relaxation concept, complete with a hillside veranda and a lounge area. 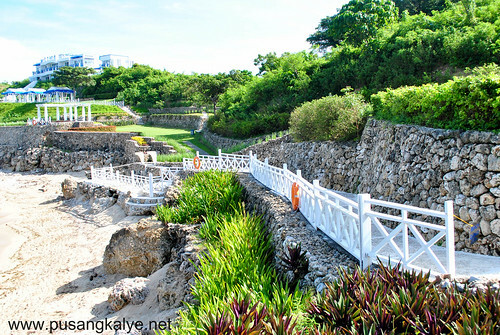 The seaside landscape also includes a boardwalk where you can be kissed by the warmth of the tropical sun. We were taken on a property tour on the second day. 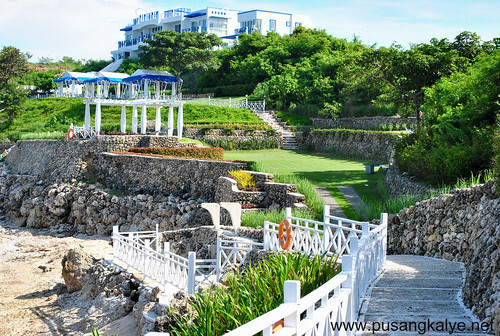 From the main hotel, to the Point Residences, the gold course, to the boardwalk and beach area. Very beautiful place indeed.!!! 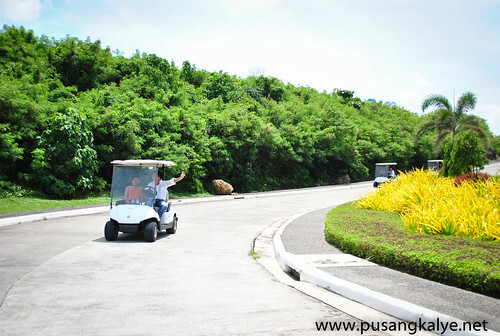 !We went around using golf cars. Fun fun fun!!!! 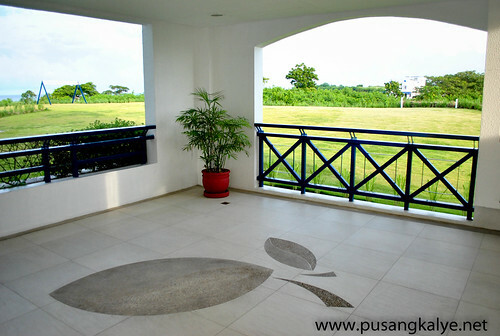 Within the property is a sprawling all-weather golf course designed by IMG. 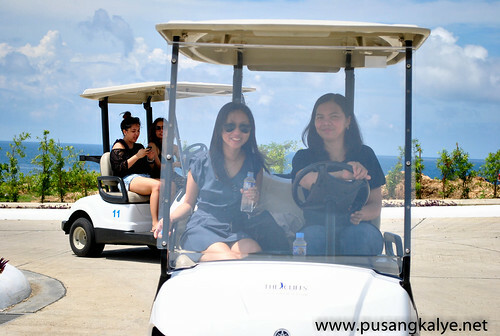 Seated at the highest point of the Poro peninsula, it offers a distinct variety of terrain, character, and contours – sand-capped according to the specifications of the US Golf Association. 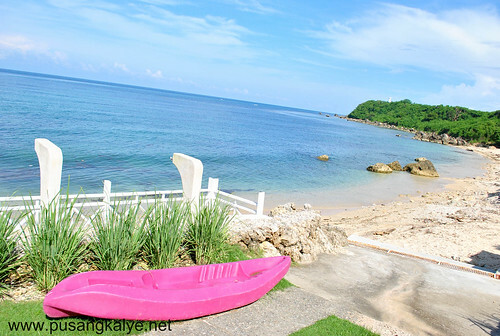 Amazingly, there is also a short stretch of beach on the Western side of the property which was the subject of my blog last week the beach at THUNDERBIRD RESORT PORO POINT . 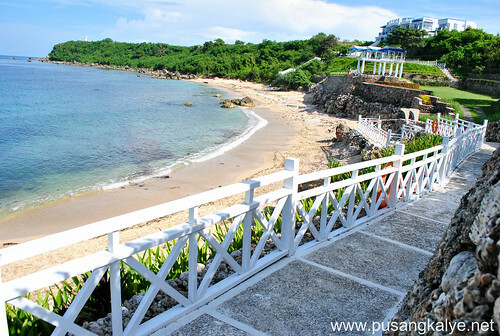 This is paradise nestled on a scenic cliff, overlooking a white sand beach and the edge of a headland that dips into the South China Sea. 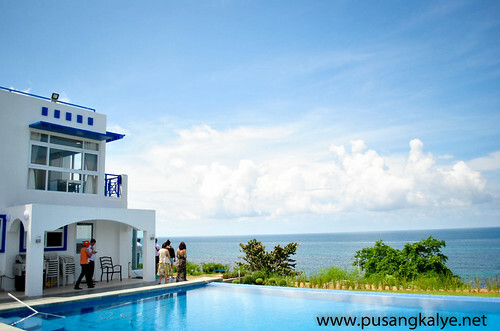 It’s a place where East meets West, where nature’s beauty is heightened by a life of luxury. 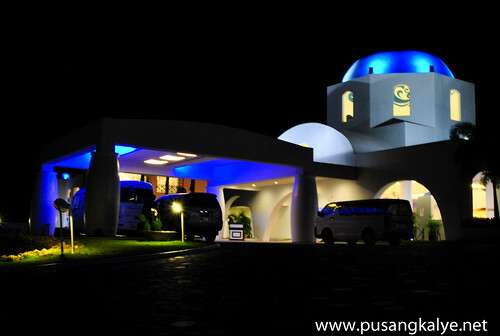 Welcome to Thunderbird Resorts – Poro Point in San Fernando, La Union. 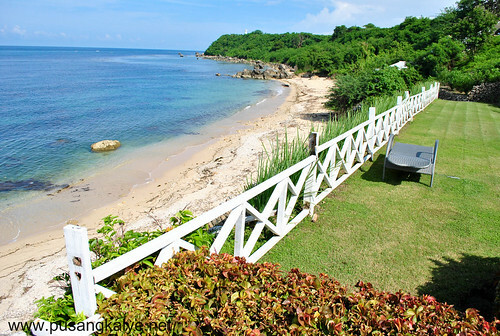 Looking for a perfect family holiday in the North or a getaway with friends? 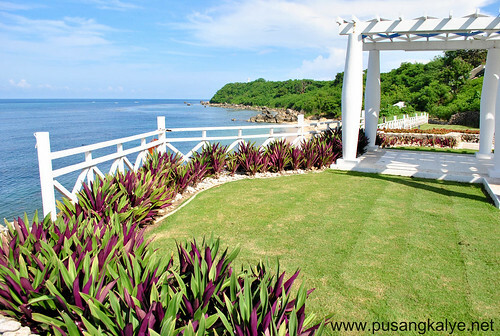 Thunderbird Poro Point is the perfect choice!!! akala ko sa unang tingin si sir azrael yung katabi ni robbie. Wow. It looks really really good. 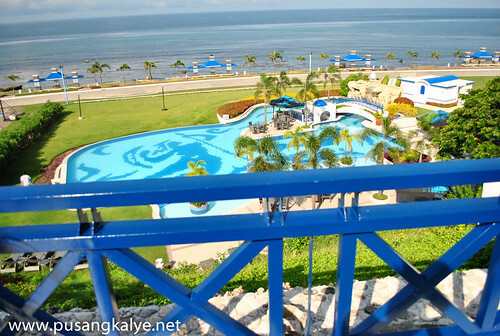 How I wish I can go there para malanghap man lang ang tinuluyan ng Bebe Anne ko. Di ko pa napapanood ang no other woman. Eh pano nga? wow na wow! nostalgic ako sa No other woman na yan. ".. and don't you dare fall in love with me" - Thunderbird. hahah! may pa laluz laluz pang nalalaman yan lang pala yun. hehehe! 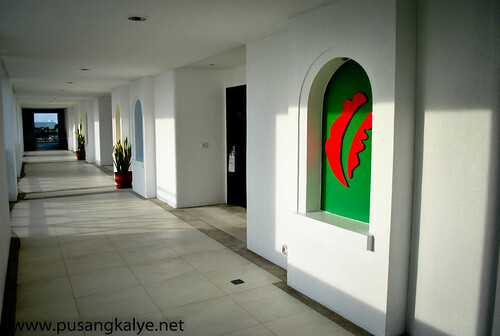 Hindi na mawawala association niya with the movie. 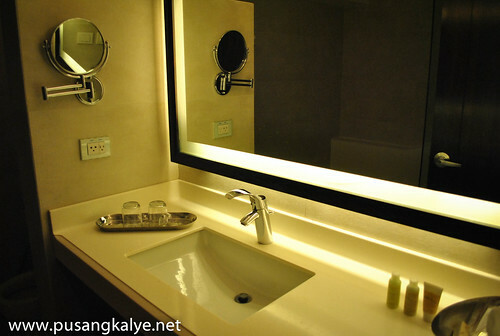 Ang ganda ganda! Thanks! 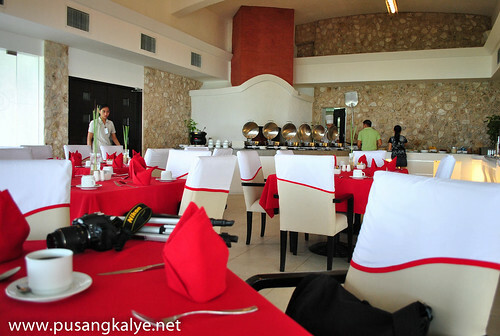 wow, tbr poro point! 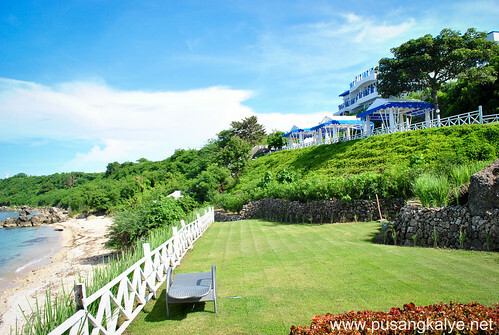 i was also fortunate to be invited by nica with the first batch of bloggers in that grecian inspired northern paradise. 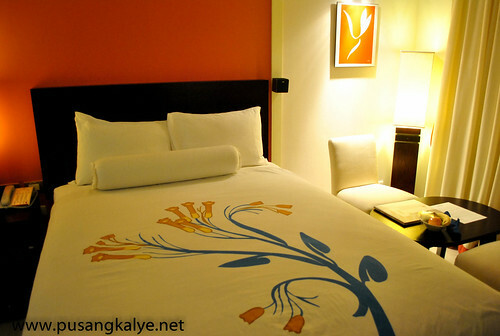 your post and photos brought back memories of our last year's stay there. 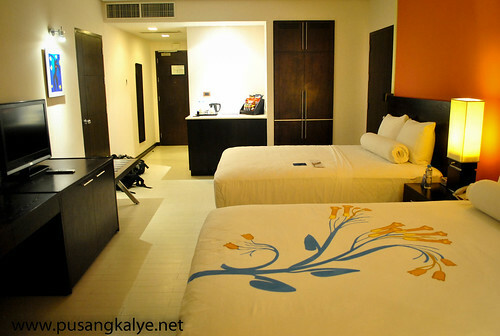 i took the chance of staying 2 out of 3 day-stay prior to my departure to my work place here in penang. 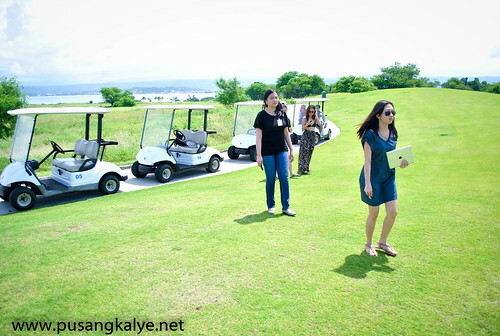 and yes, i got to drive one of those golf carts too. saya ano? !